Treat your special ones by ordering online this Radiant 2 Kg. 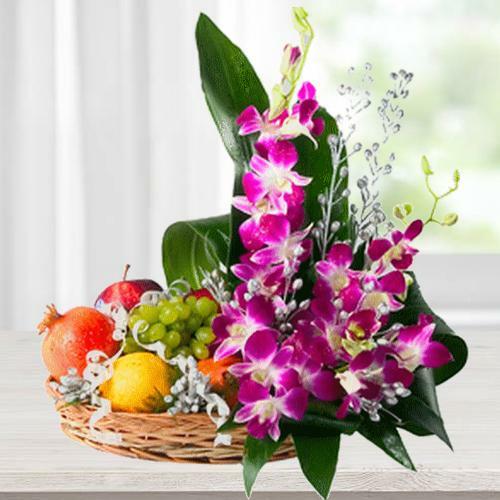 Fruity and Flowery Bamboo Basket for them and show how special a place they hold in your heart. This dynamic Basket comes with different kind of Fruits like Grapes, Oranges, Pomegranates etc.